Transsphenoidal surgery is considered a first-line therapy for Cushing’s disease in children. 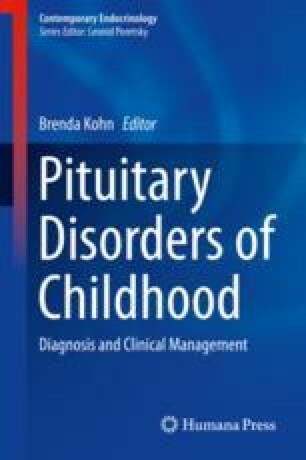 Preoperative evaluation includes appropriate biochemical testing, MRI imaging, and inferior petrosal sinus sampling, to confirm a pituitary source. Remission rates between 50% and 95% have been reported in various series, depending on the size and invasiveness of the tumor, with acceptably low surgical morbidity. Recurrence remains an issue despite initial indications of remission, and adjunctive therapy, including radiosurgery, medical treatment, and adrenalectomy, is sometimes required.